1. Summer scarves and floppy hats are a MUST this summer! Hat- Price $14.99 Purchase Here! Sarah’s big 2-1 celebration is just around the corner so she has one thing in mind, birthday parties! 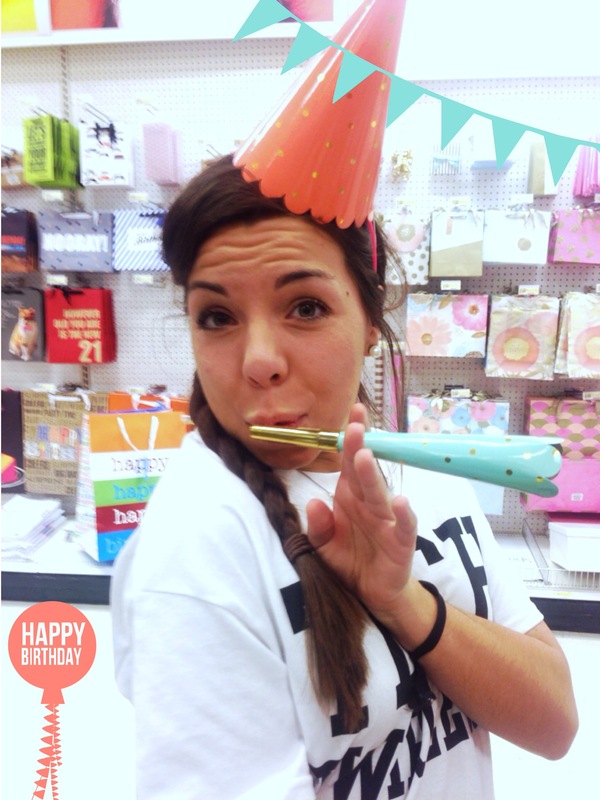 These super cute party hats and party horns are a part of the new Oh Joy! Collection at Target. We love the gold foil dots and cute pastel colors. This collection features all sorts of fun party items that are sure to add a little sass to your upcoming event. Unfortunately, a lot of the collection is not sold online so you will need to hurry to your nearest target pronto to get these supplies while they last! Party Hats- 8 Count Price $3.00 Purchase Here! 3. 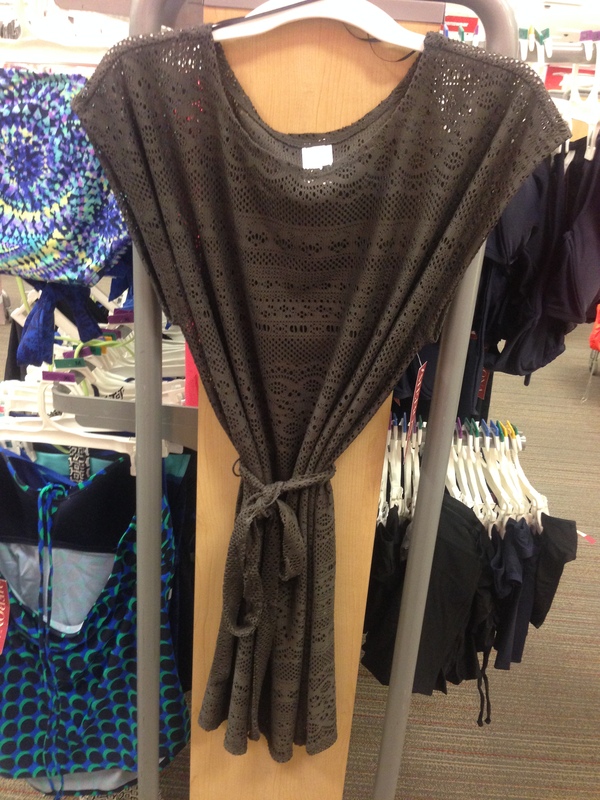 Swimsuit cover up or cute top? Techincally, this darling thing is a swimsuit cover up. But who says you cant pair it with a tank top underneath, a cute pair of capris, and some sandals? This comes in a pretty taupe color and black. 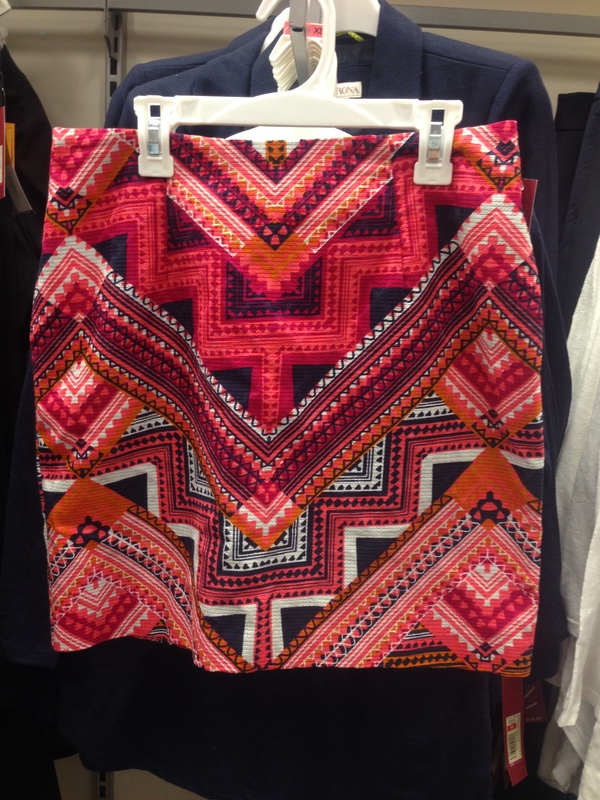 Who doesn’t love a great skirt? This little gem was hidden on the bottom rack and we almost missed it, but we are sure glad we didn’t! These colors work great together and we love the print. Just add a navy top and you are good to go! 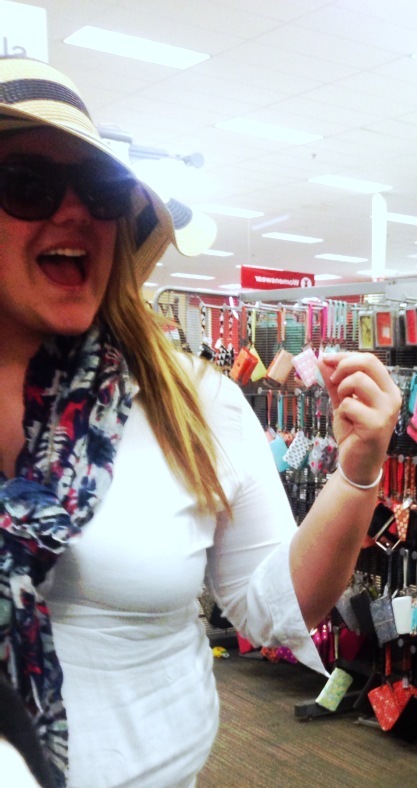 So, what is your favorite of our Target finds this month? Let us know!